Are you are a Beginner Photographer or looking to learn basic things about photography then an entry-level basic DSLR is a pretty great option of you. But still confused that which is the best option in the market in 2019 Don’t worry we are here to help you. Yeh I Know Why You spend 25,000 on a DSLR when Smartphone Cameras are getting so better but hey the Details, Color accuracy and Crispyness which a DSLR can get smartphone camera doesn’t even come close and we all know Bokeh effect on a DSLR is 100 times better than smartphones So, if you are a photo-centric person but having low budget an Entry Level Budget is best for you. DSLR Cameras become significantly cheaper if you compare from the past now you can own a very good DSLR Camera Under 25000(INR) for taking amazing photos. We don’t want to confuse you with too much option that’s why we find four Best DSLR Cameras options which you can buy below 25k in India and both come with 18-55 mm Kit lens. But hey If you are looking for DSLR for shooting videos for youtube then I suggest you to check our list of Best DSLR Under Rs. 40,000. 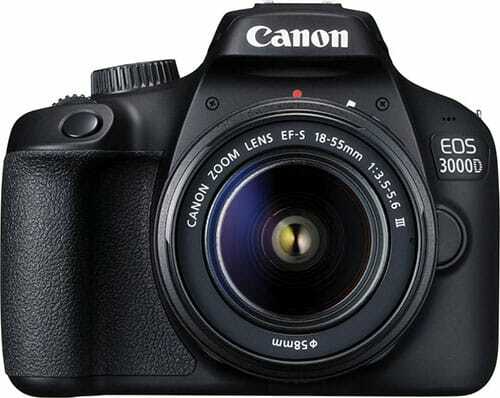 Canon EOS 3000D starts at Rs 23,000 via e-commerce websites in India and go as high as Rs. 31,995. With such a low price tag it becomes an attractive option right now in the market, especially for the features it offers. Build Quality – Build quality on this one isn’t as good considering it’s constructed out of plastic. That said, it does manage to offer a solid feel when held in the hand. Image Quality – Canon EOS 3000D comes with an 18MP CMOS sensor, which is 19 times larger than the sensors on your smartphones. That means it’s able to capture much more light and details in any situation. Image Processing is also very good on this due to DIGIC 4+. It has 9AF points which is good for an entry-level device. It also supports ISO levels from 100 to 6400. Canon has bundled the shooter with an 18-55mm lens. 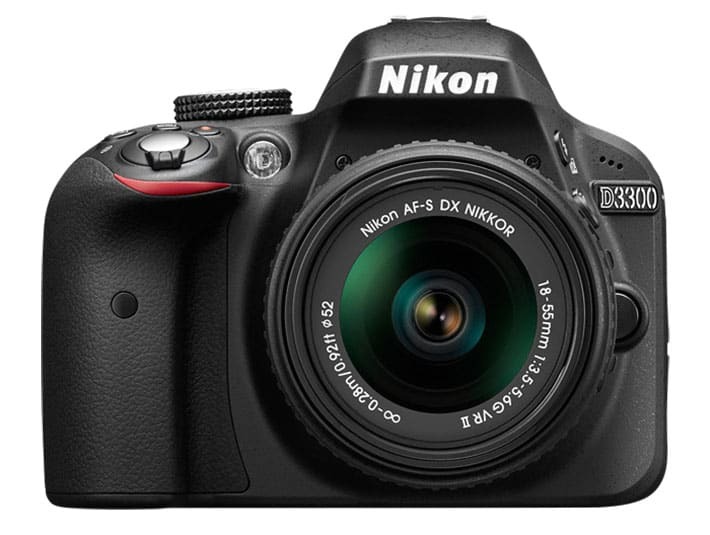 The Nikon D3300 is also a great option below 25K for entry-level DSLR. It certainly ticks many of checkboxes for a beginner like It has 24MP sensor delivers great images, it’s easy to use functionality, has impressive battery life and an impressive array of lenses and accessories. Build Quality – Nikon D3300 has good grip due to texture finish and overall feel solid in hand when you hold. Dialers and buttons are responsive and clicky So, in build quality department I’m satisfied and give a pick. Image & Video Quality – The Nikon D3300 features a high-resolution 24.2MP APS-C sensor and ISO range from 100 to 12800 which provide flexibility for different lighting situations. Now there is a lot of question which you guys have that what about Sony and Canon 1300D. Frankly speaking, you are here to look for Best DSLR Under 25000(INR) and These two are the best right now in the market for 2019 both are really good for beginners but if you want more than must see some other options.